You need to do more than just drive traffic to your site and engage visitors. You need to convert them. And this can, at times, prove difficult. With many Shopify Apps available it can be hard to decide which ones to use to increase your conversions. Luckily for you, we’ve curated a list of 5 of the best Shopify Sales Apps to skyrocket those sales for you. Fomo (formely Notify) is short for “Fear of Missing Out”. I’m sure many of you have experienced this in your lives. You attend a party because everyone is going. You buy a certain product because everyone is buying it. The Fomo Shopify App bases itself on this principle. While shoppers are shopping a small little pop-up enters the screen to notify the shopper that someone else has purchased this product. It creates the perception of a busier storefront. This sells. Imagine you in a new town and you’re deciding on where to eat. Would you rather eat at a busy restaurant or one where there are no customers? Probably the former because in your head you’re thinking, “Why are there no customers at that one restaurant? Is there something wrong with this place”. Such doubt is a shopping deterrent. ** Free trial: Yes, 7 days. #2 Product Discount: No More Coupons! 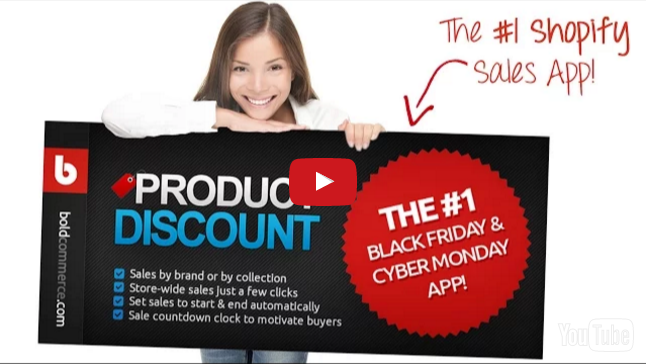 Product Discount is the number one Black Friday and Cyber Monday Shopify Sales App. As the name suggests, Product discount works on the principle of offering your customers price reductions. Create specific sales for certain products, store segments or the entire store. Schedule future sales for the weekend or holidays. Do it once and forget about it. Create a live sales countdown clock and drives sales by virtue that they run for a limited period. 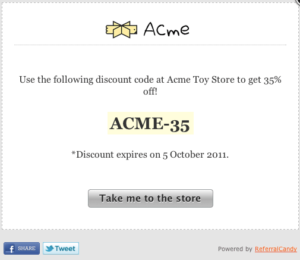 Create storewide sales without coupons. With many sales apps working on the principle of coupons, you may be thinking how this app actually works, and what’s the benefit? Let me explain. When you run a sale, the Product Discount app automatically adjusts the price for every sale item. It then includes the old price for comparison to the new sales price in the “compare at” field. When a potential customer now visits your store, they instantly know the sale is on. You, in turn, do not run the risk of the potential customer leaving because they weren’t aware of the sale. And of course, you have higher conversion rates. **Free trial: not clear, but a demo website is available. Cart abandonment is common. Very, very common! In fact, statistics show that 67.45% of online shoppers abandon their carts before they buy. A staggering figure indeed. Email automation. Simply choose when to send emails and watch the orders roll in. Ability to include a second follow up mail. Sometimes customers need an extra push. Sometimes emails get lost in littered email boxes, where they’re forgotten forever. Not anymore! You’re able to track everything. 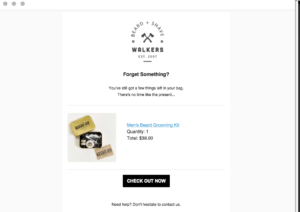 Each email is customizable, whether it be text, the logo, or even the subject line. 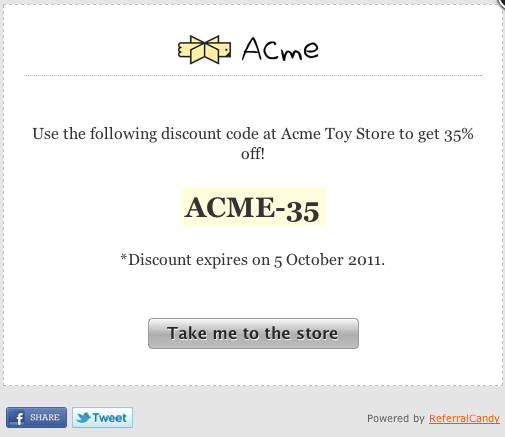 Coupon functionality. Include a discount code to encourage them to recover the order. **Free trial: yes, 14 days. Referrals are highly influential. How often do you do something based on a recommendation from a friend or a family member? I’d say fairly often because you value their input. You trust that information because it came from a credible source; someone close to you. By offering discount codes to customers who successfully refer you, you access these networks and drive new customers to your store. Referral based discounts work because they give your customers an incentive. And people are naturally more inclined to do something when there’s something in it for them. The app’s easy to install, setup, and manage referral programs. **Free Trial: Yes, 30 days. 73% of internet browsers aren’t English. 72.1% of users browse in their own language. 56.2% say browsing in their language is more important than price. 46% say they don’t buy products or services in foreign languages. You’re tapping into new markets. You’re ranking for keywords that your competition isn’t ranking for. You’re improving your search engine visibility. And foreign customers who arrive at your site who can’t speak English feel comfortable. They’re now able to shop in their own language. You’re ultimately converting more customers. Bablic offers professional and manual translations. You don’t have to be a tech geek to install and master it. All you do is paste a line of code into the header of your site. That’s it. Free Trial: yes, 14 days. What Shopify Sales Apps do you use?